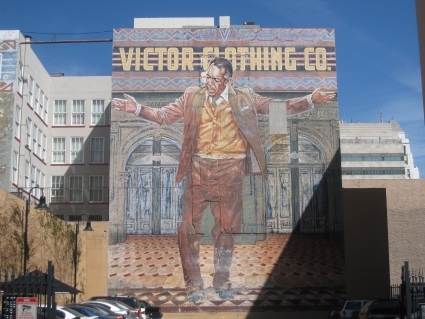 Ten years ago, the view from the corner of 4th and Spring Street in downtown Los Angeles would have been confronting. Hundreds of people lived rough on the streets in a shanty town of cardboard refrigerator boxes. Drugs and crime were rife and the area was a virtual no-go zone for tourists. In 1999, the Los Angeles City Council passed an ordinance that allowed unused office buildings to be converted into apartments. Developer Tom Gilmore bought up a dilapidated block now known as the Old Bank District and transformed it into trendy lofts. It revitalised the area and inspired others to do the same. Cafes, restaurants, bars and art galleries started to open and people followed. Since 2005, the residential population of downtown Los Angeles has boomed up by 20 per cent in two years. Even some of Hollywood’s stars have descended from the hills Johnny Depp and Kevin Spacey both have apartments downtown. All of which is great news for visitors because it means you can now safely stroll around the largest historic district in the US.